Viknesh Vijayenthiran February 8, 2018 Comment Now! 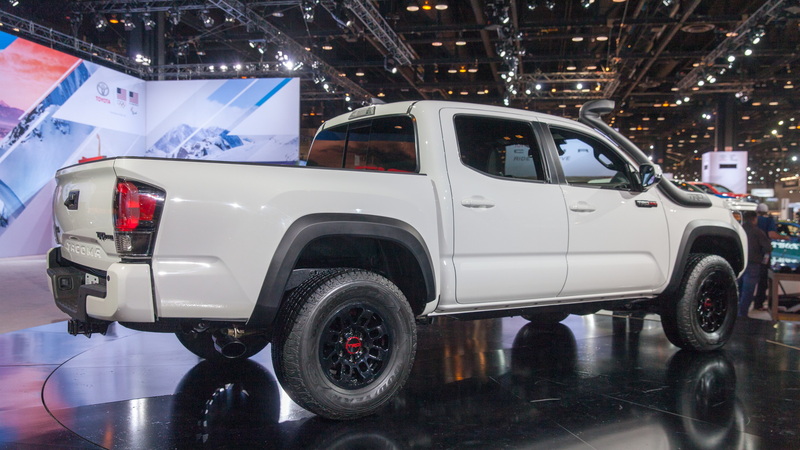 The Japanese firm on Thursday presented its 2019 TRD Pro lineup at the 2018 Chicago Auto Show. Once again there are 4Runner, Tacoma and Tundra options to choose from, and this year each of them comes fitted as standard with 2.5-inch Fox internal bypass shocks tuned specifically by Toyota's TRD performance division, whether it be for desert racing, rock crawling, or the daily commute. 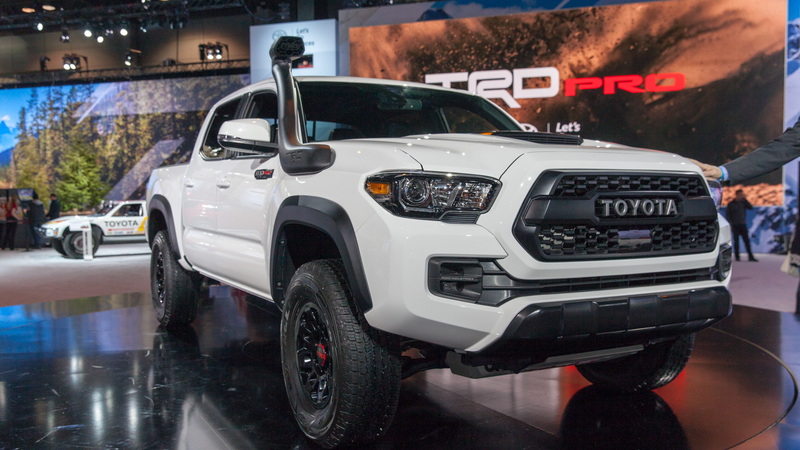 Beyond the beefed-up suspension, TRD Pro buyers are treated with additional goodies for 2019. 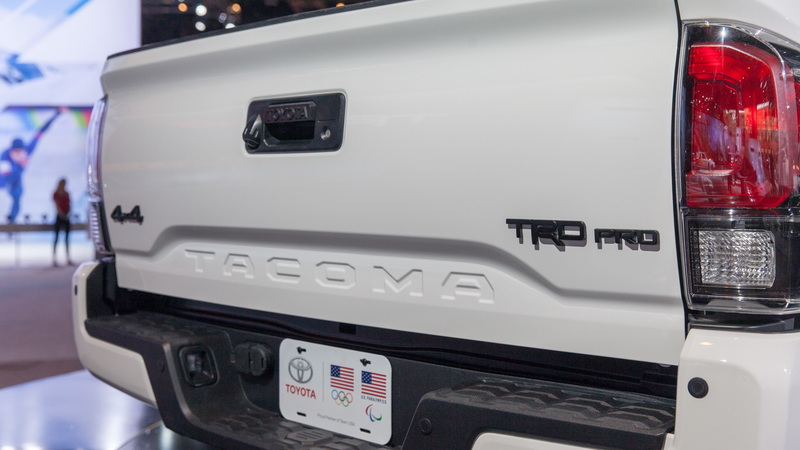 The Tacoma TRD Pro, for example, finally gets a standard JBL sound system, along with an updated front skid plate with “TRD” red lettering, while the cat-back exhaust is accented with a new dark chrome tip. A handy snorkel is also available for the first time, which feeds air to a standard 3.5-liter V-6 with 278 horsepower. Tundra TRD Pro buyers can look forward to LEDs for the headlights and fog lights as well as revised grille and hood designs. The latter features a new scoop that adds to the vehicle's tough stance. 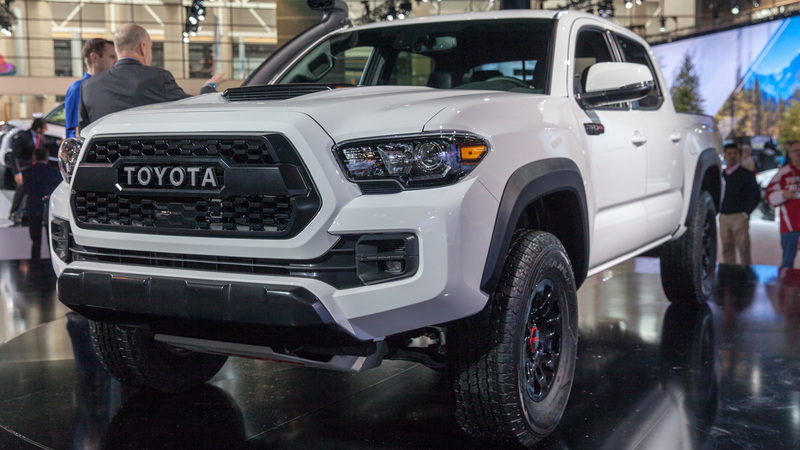 Out back, “TRD Pro” stamping is found on the bed’s rear quarter panels, while the vehicle sits on a new set of 18-inch forged aluminum wheels from BBS. Each wheel saves around 3.35 pounds of unsprung mass and comes wrapped in Michelin P275/65R18 all-terrain rubber. The standard powertrain is a 5.7-liter V-8 with 381 hp. The option for SUV buyers is the 4Runner TRD Pro, which for 2019 adds a new roof rack, a front skid plate with red “TRD” lettering, and 17-inch alloys finished in matte black and wrapped in Nitto Terra Grappler P265/70R17 A/T tires. And like the Tacoma TRD Pro, the 4Runner also gets a standard JBL sound system. The standard powertrain here is a 4.0-liter V-6 with 270 hp. 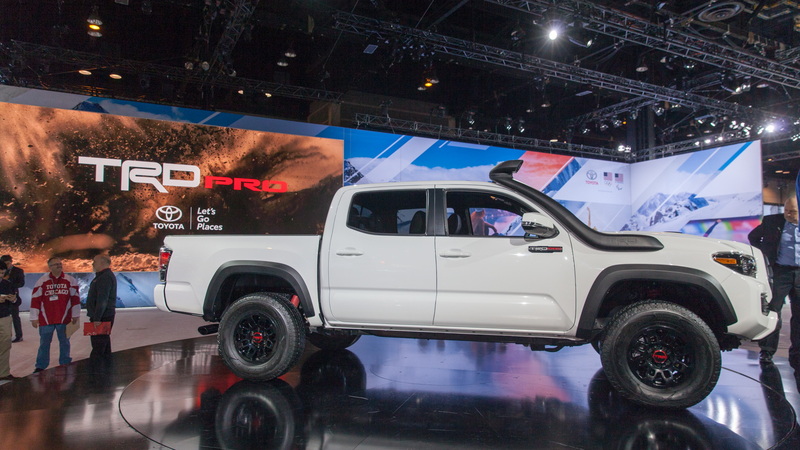 The 2019 TRD Pro lineup will be in showrooms by the fall of 2018 and buyers will have the choice of three colors: Super White, Midnight Black Metallic or the TRD Pro-exclusive Voodoo Blue.